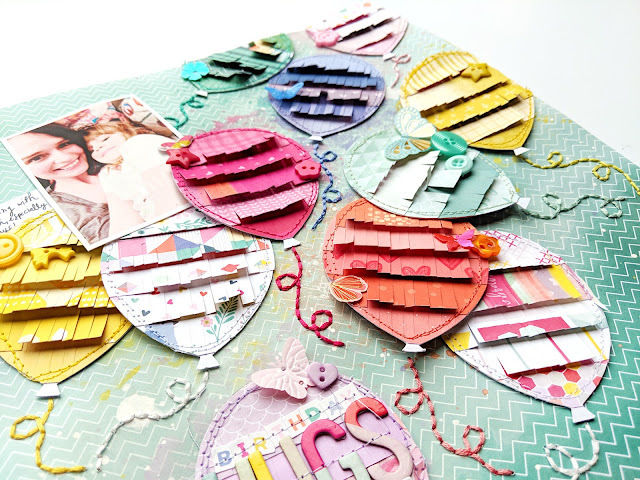 The template for the base of the balloons is included in Lesson Five and I used it to cut out 11 balloons from white cardstock. 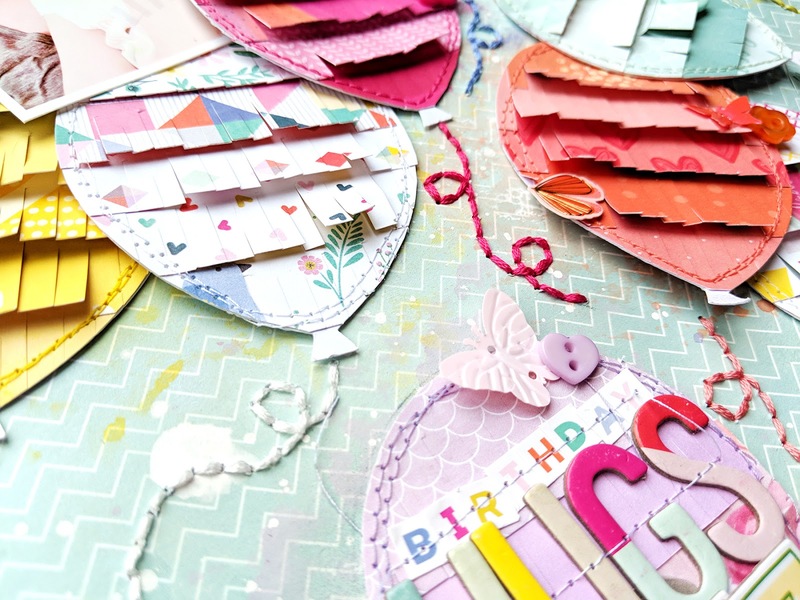 Then I trimmed paper strips from Take Me Away and Oh My Heart, fringed the strips with scissors, adhered them across the balloons, trimmed the excess, then machine stitched around the edges. It's pretty easy, I promise! 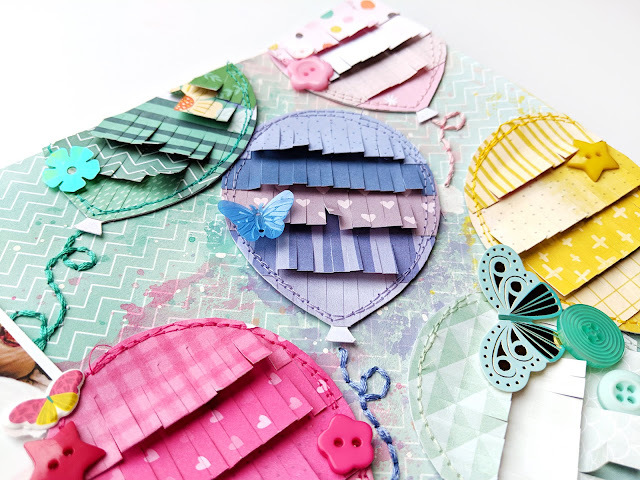 I did some mixed media on the background paper and then added the balloons to appear as if they were floating away. That was not my original arrangement, this layout took make different routes to get to where it is now! You can watch the entire process in the start-to-finish process video in the lesson! To add more texture and interest I made hand stitched balloon tails in coordinating colors. I always use all six strands of thread for the most texture possible. I finished off with color-on-color embellishments and a bit of journaling. 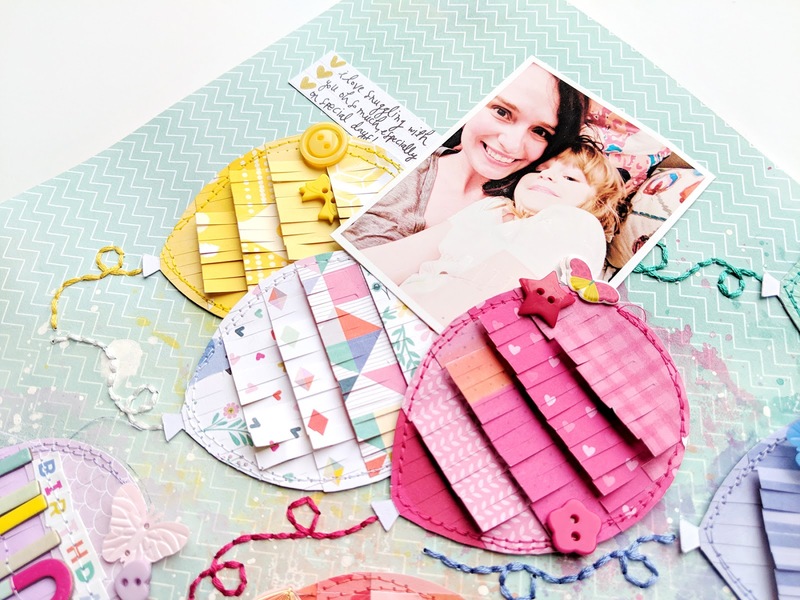 I hope this layout inspires you to check out my Paige's Process class at Big Picture Classes! 8 lessons, 16 videos, templates, cut files, and more await!